An opportunity has become available for several Sonographers – Advanced (Maternal Fetal Medicine) to join Gold Coast Health (GCH) where care is provided utilising the latest state of the art ultrasound and diagnostic imaging and testing. Maternal Fetal Medicine (MFM) at GCH provides services to meet the needs of the local community, as well as greater SE Queensland and Northern NSW. You will take responsibility for providing specialist ultrasound services in MFM, Obstetrics and Gynaecological ultrasound to clients of the GCH. You will provide the best possible imaging examination to assist in the overall management of women experiencing high-risk pregnancies and complex gynaecological conditions. Base salary ranging from $120 856 – $126 105 p.a., $4632.40 – $4833.60 p.f., $60.95 – $63.60 p.h. Enquiries: Joanne Everingham (07) 5687 1160. Closing Date: 14th May 2019. Austin Health is the major provider of tertiary health services, health professional education and research across 3 campuses in the northeast of Melbourne. Austin Health is world-renowned for its research and specialist work in oncology, liver transplantation (state-wide service), ICU, spinal cord injuries (state-wide service), neurology, endocrinology, mental health and rehabilitation. An exciting opportunity exists for an enthusiastic and highly experienced Sonographer to join the Austin Radiology team in the new position of Chief Sonographer. 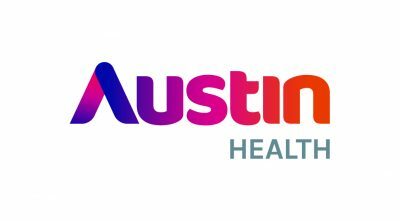 The Austin Health ultrasound service performs approximately 20,000 ultrasound examinations per year – 11,500 in the outpatient setting, 6,500 in the inpatient setting, and 2,500 in the emergency setting. A broad range of clinical services are provided for a wide range of internal and external referrers. Our case load is a rich mix of interesting and challenging pathology – with particular sub-speciality exposure to complex hepatobiliary and oncology ultrasound imaging – with a growing interest in contrast enhanced ultrasound and ultrasound/cross sectional co-registration technology. Our ultrasound team enjoys a close working relationship with our medical team – with on-site support, feedback and education provided by our consultant radiologists and registrar staff. Our Chief Sonographer will work closely with our radiologists and medical director to deliver a high quality ultrasound service, with the support of and for the ultrasound team. Austin Radiology values training, education and research. Our department will support the successful candidate in developing these opportunities for themselves and importantly for their team. Our future focus will be to address the future challenges of POCUS in the hospital setting, with Austin Radiology and the Chief Sonographer performing a central role in leading and guiding the governance of this important emerging issue. Please contact Dr Natalie Yang (acting medical director) with position enquiries and/or tour of the department. Sonography Traineeship or Volunteer position required. I am currently studying my Graduate Diploma in Medical Sonography with the University of South Australia and require a traineeship or volunteer position in order to complete the degree. Until now I have had excellent short-term volunteer opportunities to observe and perform ultrasound scans, such as abdominal, thyroid and vascular examinations. As part of the degree I have completed all the basic units of Ultrasound Physics and Instrumentation and Professional Issues as well as the specific units relating to Abdominal, Superficial Parts and Musculoskeletal Sonography. I have extensive experience working in a busy rapidly changing health care environment and have developed the skills sets to work both autonomously and as part of a team. Willing to relocate for an opportunity to advance my career as a Sonographer. Logan Heart Services is a large private cardiology practice with multiple locations in the Brisbane area (Cleveland, Logan and Greenslopes) boasting up-to-date ultrasound machines and a friendly and dynamic technical team. 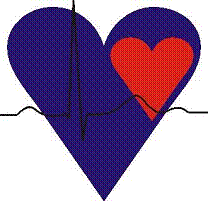 A position exists for an experienced cardiac sonographer with our company. The ideal applicant will hold either the DMU (cardiac) or QUT, and be able to perform echocardiograms and stress echocardiograms. Current ASAR registration and professional indemnity insurance are required. dependently. Full time hours are preferred however Part-time hours will be considered. Own transport is essential, as travel will be required to the various sites. An attractive salary package is available upon negotiation, dependent upon qualifications and level of experience, and includes a continuing professional development allowance. Advanced trainees completing part 2 DMU or 2nd year QUT are encouraged to apply. Please submit your application, including a cover letter outlining your experience, your current CV and a minimum of 2 professional references practice.manager@heartservices.com.au. What matters to you in your work? Is it a variety of interesting cases? Is it a fantastic team of other professionals? Or is the life you live outside work just as important as what you do for your career? Well, it just so happens that you truly can have it all at Southern DHB. You’ll work on across all areas of ultrasound – general, vascular, paediatric, obstetric, and every other aspect you can think of. You’ll also work with a radiologist to help out on interventional procedures. Along with excellent spoken and written English, you’ll need a qualification in Ultrasound, as well as a current practicing certificate and to be (or able to be) registered with the NZ Medical Radiation Technologist Board (NZMRTB). There’s no better time – or place – to make the next move in your career. And it’s all waiting for you. Royal Darwin Hospital (RDH) and Palmerston Regional Hospital are seeking enthusiastic ASAR accredited Sonographers to join our friendly team in Darwin. Seeking a person who is flexible and open to participate in various clinics, regional hospital relief, on-call, shift and after hour’s rosters. “Working in the Northern Territory (NT) is like no other, I am proud of our unique NT workplace and culture that tailors to our population, diseases and remoteness”. Sheree Armstrong, RDH Senior Sonographer. 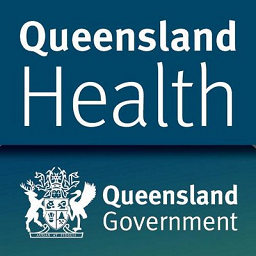 The Top End Health Service (TEHS) is seeking applications for a Clinical Educator for the ongoing tuition of student sonographers within the Royal Darwin Hospital and for the newly established Ultrasound service at Palmerston Regional Hospital, in the Northern Territory. The role could also include clinical education oversight of the TEHS Ultrasound Services in Katherine and Gove Hospitals. Working in collaboration with the Manager Ultrasound Services TEHS, the successful candidate will be instrumental in the formulation and delivery of a high quality, comprehensive training program. A strong emphasis is placed on creating a service characterised by technical expertise and skill, adherence to evidence-based departmental protocols, adept knowledge of normal human anatomy and pathophysiology, coupled with exemplary patient care and knowledge of QA procedures. Professionally, the work will also be varied and challenging – with RDH being the National Critical Care & Trauma Response Centre, RDH covering much of Northern Australia and parts of South East Asia and TEHS’s unique and varied imaging caseload. Flexibility is a must, as you may be required to work as a sole sonographer, manage frequent emergency patients and occasionally work in smaller regional hospitals. The successful applicant with Australian Sonographer Accreditation Registry (ASAR) registration would be expected to have strong interpersonal skills with a keen interest and experience in education, creating and maintaining a high quality. Ultrasound service throughout TEHS as well as continuous quality improvement and a proven ability interacting and working within a multi-disciplinary team and people from diverse cultural backgrounds. Post graduate qualifications in Education or Management or Advance Ultrasound qualifications are highly desirable. RDH is a 360 bed tertiary teaching hospital, serving the NT, parts of WA and South East Asia. It is also the home base of the National Critical Care and Trauma Response Centre. The Medical Imaging department operates 24 hours and provides emergency, intra-operative & general x-ray, ultrasound, CT, MRI, nuclear medicine, mammography relief, fluoroscopy, angiography and cardiac angiography. PRH is a brand new 116 bed regional state-of-the-art hospital located approximately 20 kms from RDH & from Darwin CBD. It will provide low acuity services for the outer Darwin area including sub-acute emergency department, surgery, rehabilitation, maternity and specialist support. The medical imaging department will provide emergency, intra-operative & general xray, CT, ultrasound & fluoroscopy, also operating 24 hours. The NT is a vast and diverse place with outstanding beauty, cultural and sporting opportunities and a tropical outdoors lifestyle. The population is made up of a significant Aboriginal population, affording the opportunity to experience their unique culture, visit Aboriginal communities and participate in festivals. To Provide a high level ultrasound and imaging service to the patients/clients presenting to Westmead Institute for Maternal & Fetal Medicine (WIMFM), for both clinical and research purposes. WIMFM is the tertiary/quaternary fetal diagnostic and therapeutic facility of Westmead Hospital. It provides interventional procedures such as amniocentesis, chorionic villous sampling and inutero fetal transfusions in addition to high level diagnostic ultrasound. We are seeking an experienced applicant with an interest in maternal fetal medicine, research and quality patient care. The position also requires the skills to train others in ultrasound techniques. Demonstrated interest and experience in ultrasound research including evidence of previous relevant completed research activities. We are an established Vascular and Endovascular Surgical practice based in Sydney’s West and Inner West across Burwood, Bankstown and Liverpool. Our services include endovascular intervention in patients with peripheral arterial disease, aortic endografting, extracranial carotid disease, vascular access for haemodialysis and treatment of venous disease. This is a great full-time or part-time opportunity for a qualified Vascular Sonographer to support our growing team of professionals in providing the very best in patient care. Candidates must be experienced in and committed to providing high quality vascular sonographic examinations across both arterial and venous pathologies. In your role as sonographer, are you committed to delivering high quality healthcare, to every patient, every time? Do you believe in working together as part of a larger team? Do you put the patient at the centre of everything you do? If these are kind of values you strive for, then we’d like to talk to you. Because at I-MED Radiology, our values are not just something written on paper, but values we strive to live every day. I-MED Radiology is Australia’s largest medical imaging clinic network. We provide a comprehensive range of scans and radiology services across Australia, including X-ray, CT, MRI, nuclear medicine, ultrasound, mammography, pet, cardiac imaging and interventional procedures. Our clinics are located in metropolitan, regional and rural Australia, from far north Queensland to Tasmania to Perth. Our clinic in Armidale is currently seeking an experienced sonographer to join the team on a permanent full time basis. For the right candidate, a chief sonographer role is also available. You’ll be joining a progressive organisation with state-of-the-art equipment and processes, with a reputation for providing expert service and outstanding patient care. You will have the option of flexible hours, access to a wide range of career development opportunities, and of course a rewarding remuneration package. If you’re looking for the next step in your career, we’d love to talk to you. Call the careers team on 02 8274 1047, email terence.sitiabudi@i-med.com.au or click the ‘Apply’ button below. I-MED Radiology is Australia’s largest medical imaging clinic network. We provide a comprehensive range of scans and radiology services across Australia, including X-ray, CT, MRI, nuclear medicine, ultrasound, mammography, pet, cardiac imaging and interventional procedures. Our clinics in Gippsland are currently seeking experienced sonographers to join the team. If you’re looking for the next step in your career, we’d love to talk to you. Call the careers team on 1800 775 751, email careers@i-med.com.au or click the ‘Apply’ button below. Our clinics in North West are currently seeking experienced sonographers to join the team. Our clinics in Rockhampton are currently seeking experienced sonographers to join the team. Our clinics in Central Coast are currently seeking experienced sonographers to join the team. Our clinics in GWS are currently seeking experienced sonographers to join the team. Our clinics in Canberra are currently seeking experienced sonographers to join the team. Our clinics in Townsville are currently seeking experienced sonographers to join the team. Sir Charles Gairdner Hospital is seeking suitable applications for Senior Sonographers to join the Cardiovascular Medicine team. The position provides, maintains and operates an Echocardiography Laboratory service for the assessment of patients with known or suspected heart disease; and undertakes a continuing responsibility for quality control of echocardiographic techniques and patient care. Sir Charles Gairdner Hospital (SCGH) is one of Australia’s leading teaching tertiary hospitals. Located at the Queen Elizabeth II Medical Centre 4km from Perth city centre, SCGH provides a comprehensive range of clinical services including trauma, emergency and critical care, orthopaedics, general medicine, general surgery, and cardiac care. It is home to WA’s only comprehensive cancer centre – the largest cancer treatment centre in the State – and is the State’s principal hospital for neurosurgery and liver transplants. We encourage you to contact Lyle Lansdown on 08 6457 4304. Cardiac Scientists – Be part of a great team with excellent career support and opportunities for growth with CQ Health. Embrace the opportunity to be a part of the great change and innovation in regional health care for Central Queenslanders. Duties / Abilities: Deliver as part of a multidisciplinary team, high-level, independent, evidenced based, echocardiographic and clinical cardiac services across single or multiple modalities within the Cardiac Investigations Unit. Provide clinical practice supervision to students and staff. Brighton Radiology is a privately owned QIP Accredited diagnostic imaging centre that provides CT, Intervention, General X-ray, Long-view recumbent/standing X-ray, Orthopaedic Tomosynthesis, Fluoroscopy and low-field extremity/spine weight-bearing MRI. We are currently seeking an experienced sonographer with a desire to provide a quality after hours and weekend ultrasound service on a contractor basis. Your ultrasound service would need to include MSK and 3D/4D imaging as part of a broad scope Ultrasound service. As an indication of demand, we currently receive daily requests for various ultrasound services – without any specific ultrasound marketing. The radiology practice will provide an exam room in shared facilities, ultrasound consumables, IT support, all linen and secretarial services, including forwarding reports, processing billing/payments and your patient appointments – Private, Medicare, Workers Comp, TAC and DVA. An ultrasound machine is available for use via a company to company service agreement. In addition to the Contractor’s marketing, support also includes marketing and promotional material to registered health care practitioners and the public, as well as online websites, local print media and stationary. All radiology reporting is currently provided offsite. We have an online portal to view images and reports, in addition to HL7/faxing/emailing reports to referring registered health care practitioners. The Vascular Diagnostic Centre is a private practice located within the Prince of Wales Public Hospital. We are a busy practice providing a comprehensive non-invasive diagnostic service for the full spectrum of arterial and venous disorders to outpatients and inpatients of the Prince of Wales Public, Royal Hospital for Women, Sydney Children’s Hospital and Prince of Wales Private Hospital. We currently have 3 ultrasound rooms with Philips iU22 ultrasound machines, and we use a state-of-the-art reporting and image archive system. We are looking for a highly motivated full or part time experienced vascular sonographer to join our fun and friendly team at the beginning of April. You must have previous experience in a wide range of vascular scans, and you must be accredited with ASAR. Strong interpersonal and communication skills are necessary as is the ability to work independently and within a team environment. The successful applicant will perform and report vascular ultrasound examinations in accordance with department protocols whilst maintaining a high level of attention to detail and a high quality of patient care. For any enquiries, please contact Kaylea Weaver on (02)9382 2113. South Coast Cosmetic, Skin & Vein Clinic is seeking a Casual Vascular Sonographer to provide venous mapping and assist with treatments. Vascular experience is preferred, although not essential. Training can be provided. To apply, please email your CV and cover letter to Lisa: info@skinandvein.com.au. If you require further information, please phone Lisa on 0402564028. Ultrasound Site Supervisor (Moorabbin Hospital) Parental Leave (12 months). Moorabbin Hospital encompasses the latest imaging technology including Ultrasound, MR, PET, CT, X-ray, Fluoroscopy, Nuclear Medicine and Mammography. Monash Imaging is Victoria’s largest public radiology provider dedicated to providing patient focused services to the people of South East Melbourne and surrounding communities. Monash Imaging has hospital sites at Clayton, Dandenong, Moorabbin, Casey, Kingston and two Dental Imaging practices. Included at these sites are a full range of modalities including MRI, PET/CT, X-ray, Fluoroscopy, Ultrasound, Mammography, CT, Interventional Angiography and Bone Densitometry. This position will continue to grow and develop an exciting four room ultrasound service. You will ensure the ongoing provision of high quality ultrasound examinations with particular focus on the patient experience. Attendance at clinical meetings and engagement in quality projects will provide a professional environment that will enable you to become a leader in Sonography. Monash Imaging is a leader in Physician training and credentialing. This is a unique opportunity to be a co- leader in this program. In this role you will be introduced to a wide range of physicians. (e.g. Emergency, respiratory, intensive care) performing ultrasound with their scope of practice. You will support this group with training, credentialing, quality assurance and on-line education. You will identify and implement ways to expand and develop this program. Attendance at clinical meetings and engagement in quality improvement projects will provide a professional environment that will enable you to become a leader in Physician Training and Credentialing. Duties include Providing clinical support, training, education and leadership to physicians seeking to participate in the Point of Care Physician Training and Credentialing program. Applications will be accepted via the Monash Health online Mercury System only. Due to the continued growth and development of our practice and staff, Dr Peter Bray is seeking Vascular Sonographers to join his vascular practice. Focused on providing the very best vascular ultrasound to support our patients’ diagnostic, treatment and surveillance needs, you will be fully supported by our friendly clinical and administration team. Regular clinical meetings are held to help you gain the most from your role and further develop your specialist sonography skills. Based in brand new rooms near the Perth CBD, you must have ASAR registration and the right to work in Australia to apply. Excellent salary package and conditions. This is an exciting opportunity to be a part of our tightly-knit, well respected clinical team. If you would like the opportunity to be part of a growing practice that truly values your clinical input into patient care, please send your CV and covering letter directly to: louisebray@vascularsolutions.com.au. Applications close Friday 15th February. All enquiries and applications will be held in the strictest confidence.